Like the Mississippi River it overlooks, Memphis is constantly evolving and changing pace. It is the city of the famous Graceland, but it's also the birthplace of blues and soul. It is a town that often takes people by surprise with its rich history and deep diversity. Slip on your blue suede shoes and hit the laid-back streets. Blues City Guided Tour - Uncover the rich and diverse history of Blues City USA. National Civil Rights Museum - An inspiring place chronicling the important events of the civil rights movement. Graceland - Tour the famous home of the Elvis Presley and see how “The King of Rock 'n' Roll” lived. Stax Museum of American Soul Music - Explore the many interactive exhibits of this great museum as you learn about some of the greatest Motown musicians of all time! Memphis Zoo & Aquarium - This award winning zoo features over 3,500 animals representing over 500 different species from all over the globe. Don’t forget to visit the pandas! 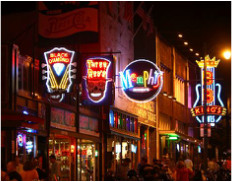 Beale Street - Historic homes and museums, diverse boutiques, terrific restaurants and of course...live music are only a part of what you’ll find on the street where the blues live! Gibson Guitar Factory Tour - Take the factory tour and you'll see Gibson's first-class luthiers fashioning these one-of-a-kind guitars through every stage of production. Also, learn some of the famous names that put the Gibson guitar into history books. The history of St. Louis has been heavily influenced by westward expansion and blues music. The big "must-see" in this region is the Gateway Arch, but other important sites include The Fabulous Fox Theatre and the City Museum. St. Louis is a city beloved by all. It entertains locals and tourists alike with its mix of Old World charm and modern life. Six Flags St. Louis - Bands and Choirs can experience St. Louis Music Festivals in the Spring or just come to enjoy the park! Gateway Arch - Take the tram up to see the city from miles around. City Museum - This imaginative learning center features a multi-level enchanted forest and a museum of oddities. St. Louis Zoo - A world renowned zoo. You can visit the flamingos and penguins and okapis and giraffes, oh my! 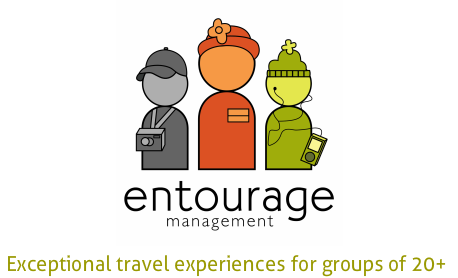 A great time for everyone! The Fabulous Fox Theatre - Catch a Broadway Show and don’t forget to look around this beautiful theatre. Museum of Westward Expansion - Explore the world of the 19th century pioneers who shaped the West. Busch Stadium - Watch a St. Louis Cardinals baseball game. Don’t forget to try the hot dogs! Yum! The Scott Joplin House - Tour the historic home of the King of Ragtime and hear some melodic tunes from the 1900’s. Meramec Caverns - Used as a hideout for the notorious Jesse James, this large cavern contains five floors of unusual formations. The music never ends in “Music City USA,” and neither does the fun! This town is known for discovering country music stars, as well as world-class southern cuisine, amazing works of art, pro sports and an endless array of live entertainment. Nashville is the perfect mix of big city excitement and southern hospitality. ​Country Music Hall of Fame - Learn the history of Music City one recording at a time. 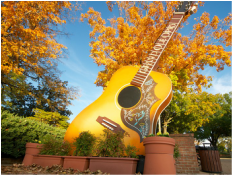 The Grand Ole Opry - A Nashville staple you don’t want to miss! Ryman Auditorium - The “Birthplace of Country Music.” See a show you’ll love or take a backstage tour and see how the magic happens. Gaylord Opryland Resort - Not just a hotel, this property is famous for its luxury and history. It promises much to see and do to all who visit. Music City Walk of Fame - Walk in the footsteps of Country music’s most talented stars. Who is your favorite? The Parthenon - See the impressive full scale replica like the one in Athens. Schermerhorn Symphony Center - From tours and workshops to shows and performances, the Symphony Center is an epicenter for musical education. Recording at Studio B - Experience a privately guided tour or participate in a group recording session of your own in the same studio that Elvis and Willie Nelson put down tracks.